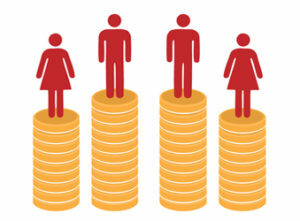 Equal Pay and Compensation: How Does It Work? All employees in a competitive working environment are entitled to receive equal pay and compensation for their hard work, and be protected against any form of discrimination. Pay and compensation are determined not by job titles but by job content. Pay differentials, the EEOC said, are permitted if these are based on seniority, merit, quantity, or quality of production, which should be proven by the employer that these certainly apply. This is measured by experience, ability, education, and training to be able to perform the job. This involves the amount of physical or mental exertion required to perform the job. This involves the degree of accountability required to perform the job. This involves the physical environment such as temperature, fumes, and ventilation, as well as the hazards. Any male or female job seeker from whatever national origin should be given the same opportunities just like anyone else in the country that enshrines equality as its ideal. He or she should not be denied of any job or subjected to any employment decision such as recruitment, hiring, or layoffs because of his birthplace, ancestry, culture, or language that is associated to a specific ethnic group. Offensive conduct, such as ethnic or racial slurs, triggers hostilities in the workplace, and thus, are prohibited. Examples of discrimination include foreign accent discrimination as well as English fluency and English-only rules. Employers, managers, and supervisors should take appropriate measures to rectify these unfair practices in order to prevent its perpetuity and aggravation.